Trailer, Docks and Richmond SMILES – then crash ! Blue sky and diamond sparkles highlighted Clipper Cove as I drove over the Bay Bridge to TISC Thursday morning. 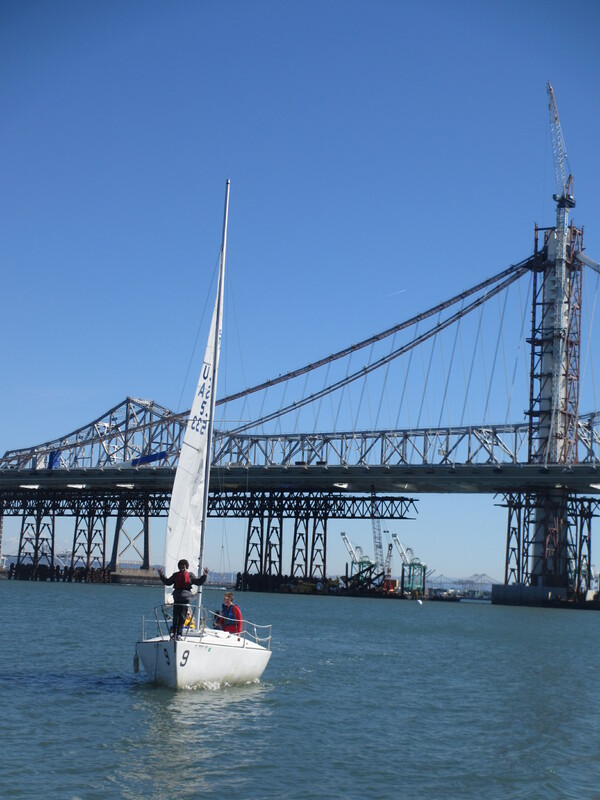 What a great day for the Richmond Parks and Recreation sail plus dock installation for the BAYS Golden Bear Regatta. Early start with a 7:30 appointment in Alameda to pick up a donated Moore 24 trailer. Stay tuned for the international background behind this gracious donation in a later blog. 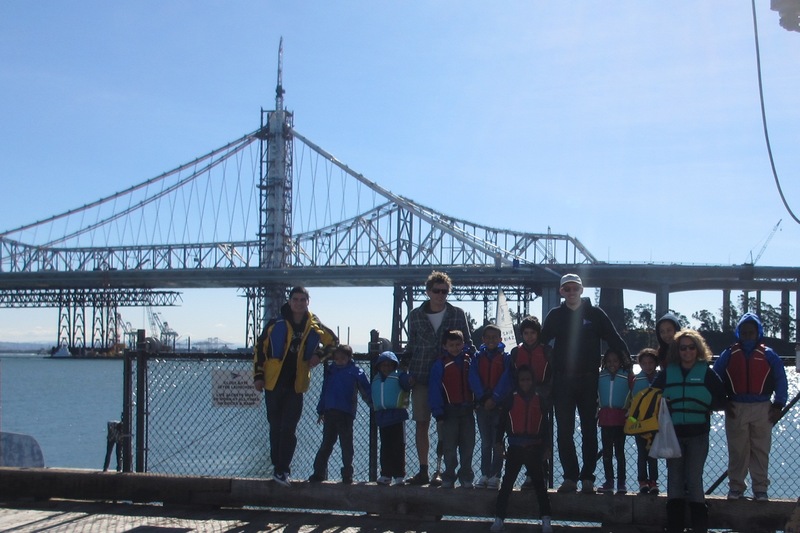 Ditto for the excellent dock work supplied by volunteers from Encinal, Richmond, San Francisco and St. Francis Yacht Clubs and Peninsula Youth Sailing Foundation. Answers to my question “What was your favorite part of the day?” included “I sailed the boat”, “being on the water”, and “what makes the sky blue? ( elementary students often answer a question with a question, you know)”. All answers delivered with big smiles and inquisitive minds. Side Bar: Thursday was quite windy; the kids had an exciting ride. A few upset stomachs enused. 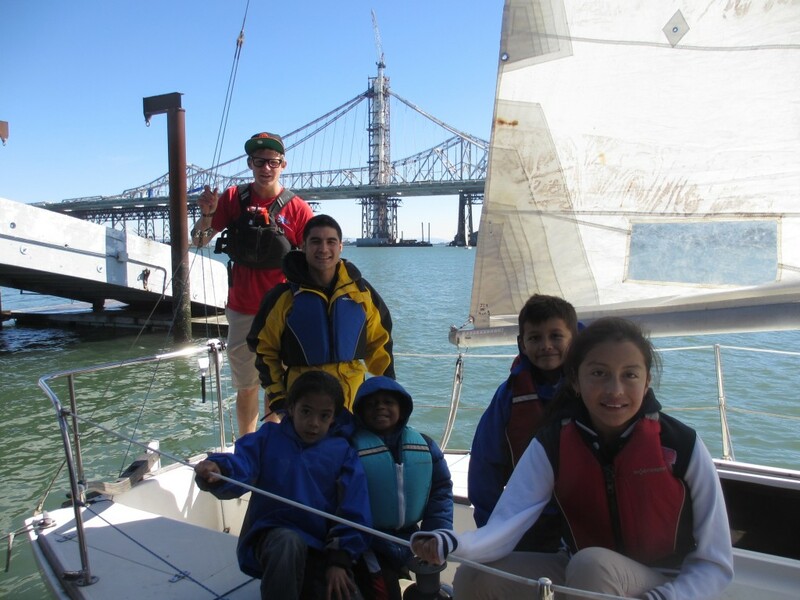 After the sail, however, they were ALL SMILES, and everyone wanted to come back for another sail at Treasure Island Sailing Center. Troopers every one ! 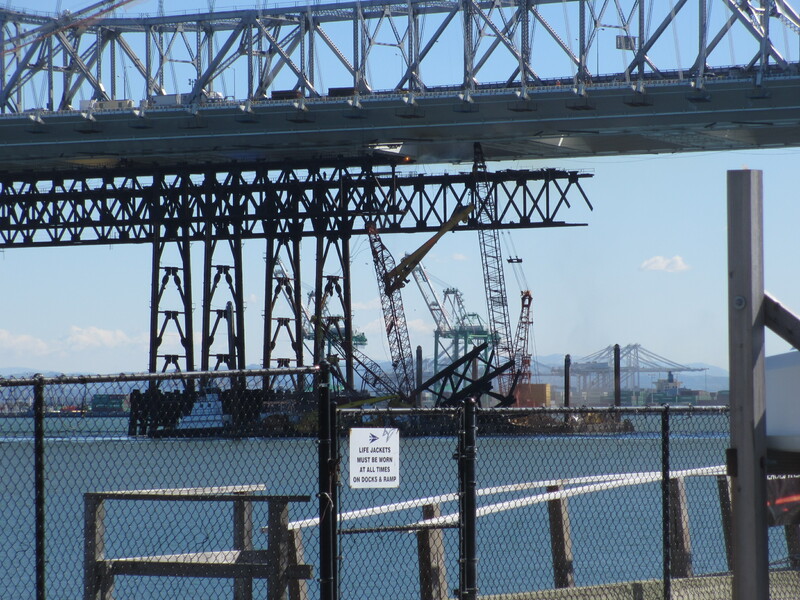 If you look closely at this group shot taken before the sail at 10:50am, you will see two cranes removing portions of the under-works used to assemble the eastern section of the new Bay Bridge. 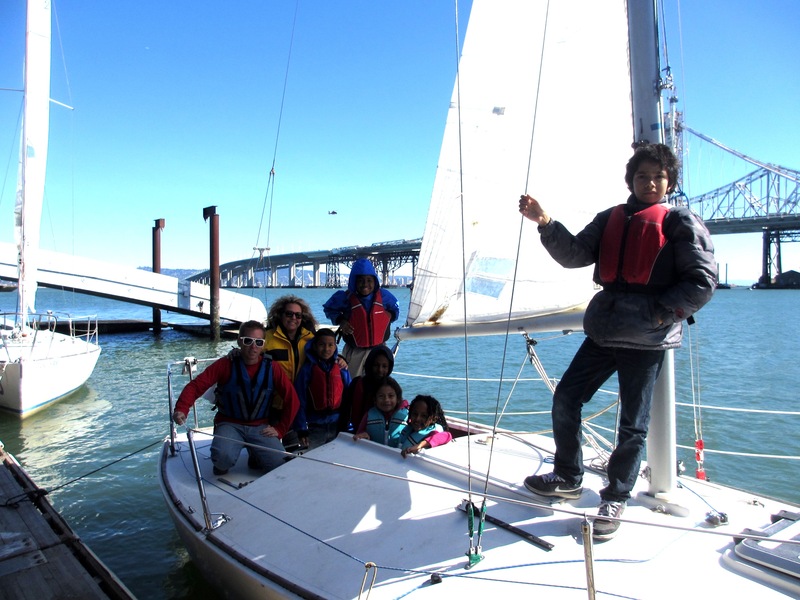 In the wake: As I finish this blog, 250 kids from 50 schools in 35 towns are finishing up the first day of the BAYS Golden Bears Regatta on Clipper Cove. Stay tuned for a behind-the-scenes look at Thursday’s preparation for this PCISA event.